THE managing director of one of the Humber’s leading renewable firms is calling on the Government to end uncertainty over targets to slash carbon emissions from fuel. Vivergo Fuels at Saltend is one of Europe’s largest producer of bioethanol – an alcohol which can be blended with petrol to create a “greener” fuel. Formed in 2007 as a joint venture between Associated British Foods (ABF), BP and DuPont, the plant became fully operational in 2014 and today employs 150 people locally. Figures suggest the facility has created an additional 4,000 jobs in the wider supply chain, and is worth a staggering £600m to the UK economy. 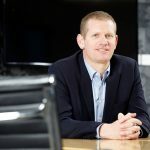 However, managing director Mark Chesworth says the company is being held back from investing further in the region as a result of delays in meeting Renewable Energy Directive (Red) targets. Red provides a policy for the EU’s production and promotion of energy from renewable sources, and requires the EU to fulfil at least 20 per cent of its total energy needs with renewables by 2020. As part of this, all EU countries must ensure at least 10 per cent of their transport fuels come from renewable sources by 2020, but in Britain this figure is still lagging behind, with the bioethanol blend for British petrol at 5 per cent. Mr Chesworth said: “This is not a voluntary measure, countries are legally obliged to meet the targets set. “2020 is not far away, and yet carbon emissions from transport are 22 per cent of total UK emissions, which is a significant amount. “British motorists already have bioethanol in their tanks without even realising it, but at present the bioethanol blend, called E5, is only 5 per cent. “With E10 fuel, that increases to 10 per cent and is already available in many countries, including France, Germany and the US. “We do not rely on, nor are we calling for, subsidies. Last year, Vivergo took on 22 new starters and two apprentices, as well as ramping up its graduate and intern programme. Mr Chesworth said he believed Vivergo and the industry as a whole was unable to meet its full potential due to the Government delaying a consultation over the introduction of E10 fuel. He said: “Industry has now been in suspended animation over the issue for over four years, with a market of just 50 per cent of what was projected. “We believe E10 presents one of the most cost-effective ways of ensuring 10 per cent of transport fuels comes from renewable sources, and it requires no change in driver behaviour. 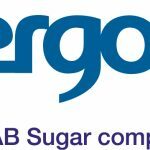 As well as being one of Europe’s largest producers of bioethanol, Vivergo can also lay claim to being the UK’s largest animal feed producer, producing up to 500,000 tonnes of animal feed each year. Annually, the plant produces about 330,000 tonnes of bioethanol from animal feed grade wheat – most of which is sourced within a 50-mile radius. This is created using a brewing process which has earned the plant the title of the UK’s biggest brewery. 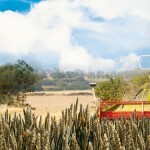 As well as helping to drive down carbon emissions, the company also provides a welcome boost to farmers who, instead of losing money through exporting their crops, know there is a year-round demand for their wheat. Mr Chesworth said Vivergo Fuels would continue pressing the Government for swift action, working alongside the Government and local MPs to help the country meet its renewable obligations while creating jobs and wealth locally. He said: “The reason this matters here and matters now is that opportunities to reduce our impact on the environment are being missed right now. “Carbon emissions from transport are only 2.5 per cent lower than 1990 and are actually 1.3 per cent higher than 2013, compared with reductions in other sectors of UK industry. “I am not saying we are the silver bullet to this problem because decarbonising the transport network will require multiple solutions.